Classroom organization is one of my favorite parts of teaching! You never would have guessed, right? Over the summer, I spend my time in “Print, Laminate, Cut, Repeat” mode. (suuuper relaxing, yes?) Because I am a stickler for efficiency, I am always on the lookout for products that can keep our classroom running smoothly! 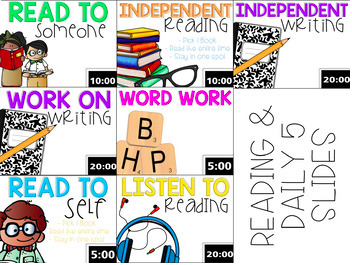 Here are some of my favorite TpT finds that I use daily! These cards are amazing and we use them every day! Mrs. Ricca has come up with cards for every subject that you could possibly think of! However, there are still editable cards in case you need them (which we did). Just print, laminate, and cut! Last year, I hot glued magnets to the back and kept them on a whiteboard. This year, they’re in a pocket chart. 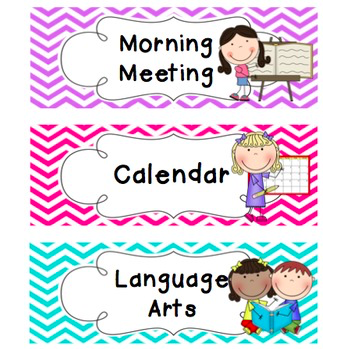 Super versatile and they help Kindergarteners learn the schedule so well! Parent communication was my professional goal last year, and I downloaded this binder to help. Oh. My. Gosh. It is wonderful! It is full of forms to use for conferences, phone call tips, etc. My favorite thing was the Positive Notes Home section! 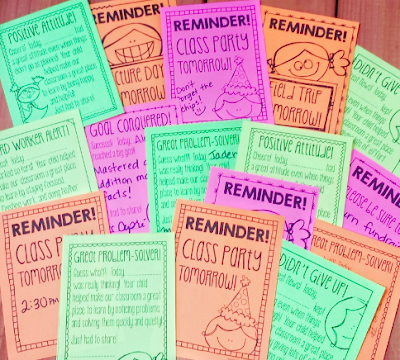 These are editable notes that you can grab to send home with your kids when they do something spectacular! I edited them to align with my Class Dojo skills, printed out a bunch on AstroBright paper and keep them behind my table. When you have young students, logging in can be the worst. 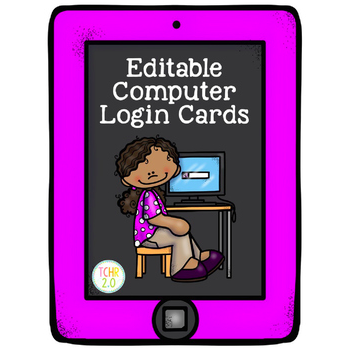 Every time we learn a new computer program, I spend the first day(s) just teaching my kids how to log in independently. Simply type in their info. Print. Laminate. Cut. Then I hole punched the top corner and used a binder clip to hang them on a command hook near the iPads. These are so small that you can have several hanging on the wall, depending on how many computer programs your school uses! Ok, I have to say, I didn't not remember these bing this pricey. BUT I will also say that we do use them every day! You can delete the slides you don’t need and put the ones you do need in order of your daily routine. Then I project them on our screen. I LOVE the timer feature! You can edit it in 5 minute increments and everyone can see it, no matter where they are in the classroom! It is most helpful during workshops/centers because the kids can see their time running out… by the time the timer stops, several of them have already started cleaning up! This helps rotations go so much more smoothly! I have seen these around on Pinterest and TPT for quite a while, but finally made the commitment and tried them this year! I'm so glad I did! Originally, I just meant to use them for one place in the classroom. However, we have ended up using them in several places! They are good for birthday walls, cubbies, chairs, class jobs, reading levels, data boards, attendance, graphing activities, etc. etc. etc. 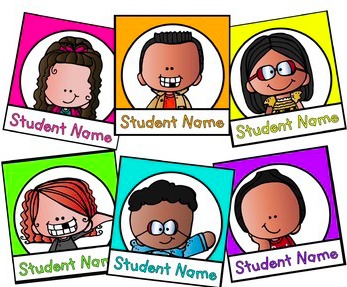 Basically anything your kids do in the classroom, these cards can be used for! They LOVE them and parents think they are super cute, too! If you’re looking for more classroom ideas, I have a whole separate Pinterest account for teaching (Peppy Pandas), and it is full of even more TpT products that I love! What are some of your favorite TpT finds? How do you incorporate them in your everyday classroom? Share your ideas (and links) below!